Roadwork on Interstate 10 today turned the final five miles to the Ocean Springs exit into a 20-plus-minute exercise in stop, ooze forward, stop. Then I saw this IMPORTANT roadwork sign. 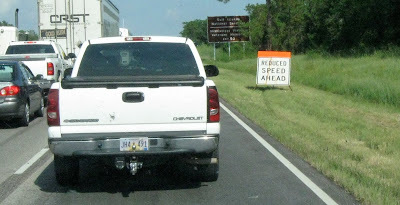 How can you reduce speed any further than stopped? Arghhhh!